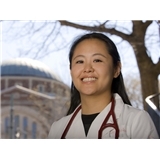 Yuko Family Medicine (Brookline) - Book Appointment Online! She was lovely! She is super cheerful, thorough, patient and listened to all my concerns and preferences. I've never felt so comfortable at a doctor's office. I would highly recommend her to everyone.